Serge Saxonov co-founded 10x Genomics in 2012 and has served as the CEO since its inception. Prior to 10x Genomics, Serge was VP of Applications at QuantaLife, where he was responsible for building content, driving new applications, and identifying key diagnostics opportunities for the core ddPCR technology. 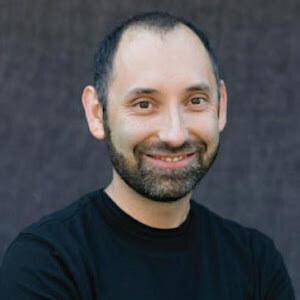 Before QuantaLife, Serge was Founding Architect and Director of R&D at 23andMe. There he defined the initial conception of the product, built many elements of the technology, and drove strategy and execution of R&D functions as the company scaled. Serge received a Ph.D. in biomedical informatics from Stanford University and an A.B. in applied mathematics and biology from Harvard University. Session Synopsis: Emerging NGS technologies promise to revolutionize applications in the clinic. They are continuously becoming more affordable, yet the requirements for high accuracy, speed, and better reliability remain. This panel will focus on the newest advancements and the technical challenges they encounter to advancing genomics into the clinic, as well as the requirements needed to optimize patient care.